Ferdinando Alfonsi of 2515 East Ann Street, Philadelphia, Pennsylvania, died October 27, 1938, at National Stomach Hospital, his life reduced to a piece of paper in the Pennsylvania Department of Health and Bureau of Vital Statistic's office. The death certificate captured a snapshot of a thirty-eight-year-old, white, married, male of Italian parentage and origin, who made his living as a construction worker. By all accounts, this is an ordinary death certificate of an ordinary death, with all the official signs, stamps, and registration numbers that came along with death in the twentieth century. Except, in the middle of the right-hand column, under principle cause of death, stamped in smeared, bold letters read "INQUEST PENDING. "1 This is no ordinary death certificate. This is the death certificate of a murdered man, a man whose murder led to the discovery of an expansive insurance murder ring operating in 1930s Philadelphia. Philadelphia, Pennsylvania. Newsstand on South Broad Street. Alfonsi's murder set off a complex investigation that revealed the existence of an expansive murder network operating in Philadelphia, New Jersey, New York, and Delaware. The murder insurance ring either targeted vulnerable Italian immigrants, insuring their lives and then killing them to collect the insurance, or preyed upon dissatisfied spouses whose partners were worth more dead than alive. If victims did not have insurance or had too little insurance, extra life insurance would be purchased without the victim's knowledge. Drowning, hit-and-runs, and poison by arsenic were the ring's stock and trade, and clients usually paid $300 plus 10% of all insurance money over $1,000.2 The premise of the conspiracy was insurance fraud, run and organized under a sophisticated business model. However, at the heart of the conspiracy was the Italian belief in witchcraft, the "evil eye," and magic potions. With immigrant communities facing mounting poverty, the insurance murder ring was in effect an economic survival strategy for Italian immigrants during the Great Depression that translated Old World beliefs in witchcraft into a system of enterprising insurance fraud. In investigating the ring's activities, I will first explore the ring's business model and the economic conditions that led Italian immigrants to resort to murder for economic survival. I will follow with a discussion of how Old World Italian beliefs in witchcraft made insurance fraud a viable business. The insurance murder ring came to investigators' attention when Alfonsi's murder became a business transaction. George Newmyer, a recently released convict with an upholstery cleaning business in New Jersey, needed money for his business. A friend referred him to Herman Petrillo in Philadelphia. When Newmyer came to Petrillo, a forty- year-old spaghetti and olive oil salesman, Petrillo told Newmyer, "Why bother me with $25 when you can get $500. "4 Petrillo offered to pay Newmyer to kill Alfonsi, thus commercializing Alfonsi's death. However, Newmyer turned government informant, and, together with secret service agent Stanley B. Philips, Newmyer stalled, pretending to discuss means of committing the murder. Then on October 27, 1938, Alfonsi died of arsenic poisoning. With Alfonsi's death, the Philadelphia police had enough evidence to arrest Petrillo and Alfonsi's widow, Stella, for murder, initiating the end of the conspiracy's business. Though Alfonsi was the ring's last known victim, he epitomized the ring's ideal victim and the economic pressures behind the ring's activities. Originally from Senigallia, Italy, Alfonsi was twenty-three, and a single laborer when he came to the U.S. on board the "Conte Rosso. "5 Like most Italian immigrants in Philadelphia before the Depression, Alfonsi probably relied on political patronage jobs from the Republican political machine. According to historian Stefano Lucani, immigrants' working class neighborhoods were strongholds for the Republican party as "destitute ethnics could more easily be lured into bartering their votes for the jobs and the other political favors and personal services through which Republican chieftains rewarded their loyal supporters. "6 By promising their votes to the Republican machine, Italian Americans were able to find employment in municipal patronage jobs, such as street cleaning projects and the city's Department of Public Works. When the Depression hit, the economic situation for immigrants like Alfonsi in Philadelphia deteriorated. South Philadelphia, the city's largest Italian neighborhood, had the highest unemployment rate in town. Additionally, in his uncompromising quest to alleviate Philadelphia's indebtedness, Mayor J. Hampton Moore ruled out special appropriations to allow direct assistance from the municipal administration.7 Furthermore, Moore delayed the impact of the New Deal in Philadelphia politics by refusing to contribute funds to direct relief and preventing Philadelphia from qualifying for federal relief programs. Moore also delayed ratifying appropriations for the Civil Works Administration until only two months before its scheduled termination.8 Even once the new mayor started cooperating with the Works Progress Administration in 1936, "the Republican city council had become more and more reluctant to appropriate funds for the city's share of the costs of WPA projects which, in councilmen's opinion, were to benefit the Democratic party. "9 Due to Italian Americans' Republican loyalties and demand far outstripping the supply of WPA jobs, there was a thin chance of Italian Americans receiving WPA jobs and, thus finding employment during the Depression. In June 1937, the situation for immigrants, including Italian Americans, became dire with the passage of the Federal Deficiency Appropriations Bill. The bill cut WPA funds and included an alien rider that disqualified immigrants who had not taken out first papers from WPA jobs and gave suspected aliens sixty days to prove citizenship. After the grace period, the bill dismissed all aliens without first papers. Then, "less than a month later even aliens holding first papers lost their jobs. "10 On March 10th of that same year, Alfonsi became a naturalized U.S. citizen.11 Whether Alfonsi became a U.S. citizen in response to the Federal Deficiency Appropriations Bill in order to qualify for a WPA job is unknown. Nevertheless, limited options existed for Italian Americans to secure gainful employment during the Great Depression in Philadelphia, leading members and clients of the murder insurance ring to commodify the lives of their fellow immigrants in order to survive during economically hard times. After the arrest of Petrillo and Stella, the police rounded up others who used the "murder-for-profit" ring as a source of income during those economically desperate times. Among those arrested included Herman's cousin, Paul Petrillo. Paul Petrillo did not come across as a murderer. Born January 26, 1892, in Moscone, Italy, Petrillo immigrated to the United States in 1910. He and his wife, Angelina, both could read, write and speak English and became naturalized citizens. In the 1930 census, he worked as a tailor in his own shop and owned his house on East Passyunk Avenue in Philadelphia's 26th Ward.12 Petrillo's oldest son, Vincent, even went to college.13 By all appearances, Petrillo was a successful, Americanized businessman. However, when the Great Depression hit, few could still afford custom made clothes, and the rise of department stores and inexpensive, mass-produced clothing decreased the demand for tailors. Thus, rather than making clothes, Petrillo lent his business skills to murder for economical subsistence. His role in this homicidal business scheme came out during the inquest on February 11, 1939. Petrillo's nephew, John Cacopardo, testified against his uncle, and quoted Petrillo as saying, "How do you think I make my money? What do you think happened to Mary Gresso in Jersey City? "14 Petrillo made it clear to Cacopardo that the murder ring was his source of income. Furthermore, Detective Sergeant Samuel Riccardi claimed, "We know the home and workshop of Paul Petrillo has been the leading place through which different unfortunates have been insured. We know Petrillo and others have induced people to insure their lives and have even called up insurance agents to tip them off to new business. "15 Thus, Petrillo and other ringleaders used the United States insurance system to prey on vulnerable immigrants as their source of income during the Depression. The stark reality of the Depression led Italian Americans to use each other for economic survival. At its basic level, the insurance murder ring was an extensive case of insurance fraud. Life insurance was not a completely new concept, nor murder for insurance. In sixteenth and seventeenth century Europe, the popularity of speculative insurance led to secretly acquired policies where payment was contingent on an event occurring in a person's life. Events ranged from loss of virginity to when and how a person died.16 Obviously, this created a moral hazard, and thus there were casualties and faked deaths. When Americans set up their life insurance system in the 1810s and 1820s, they wanted to avoid the facilitation of crime, but that proved to be impossible. By March, with over seventy speculated victims, investigators realized the magnitude with which the insurance murder ring took the association of insurance and crime. On March 22nd, Herman Petrillo erupted into curses and swung at a foreman as a jury found him guilty of the murder of Ferdinand Alfonsi by poison and sentenced him to death by electric chair. With Petrillo's conviction, Judge Harry S. McDevitt promised "relentless prosecution of 'this group of assassins' he said committed numerous murders in a 'mad quest for money. '"17 Investigators knew "this group of assassins" organized and ran their conspiracy like a business. Investigators found that the arsenic ring "'merchandised in death' on a commercial basis, with a staff of contact men to drum up business. "18 In fact, the police believed that "at least seventy-five persons were associated with the 'poison syndicate' either as directors, 'branch managers,' 'agents' or 'customers. '"19 The ring had two branches: the North Philadelphia branch directed by Herman Petrillo and Morris Bolber, and the South Philadelphia Branch directed by Paul Petrillo and Corinia Favato. Ring members' relationships to one another were purely business-related, functioning as cogs in the conspiracy's machine. Thus, ring members turned states' evidence on each other, revealing to the police the inner workings of the syndicate with its network of agents, branches, and clients. For most members, protecting this economic scheme was not worth jail time or, worse, the electric chair. Additionally, the ring had suppliers and contacts for everything from poison and other lethal weapons to the vital insurance policies that made the ring profitable. For example, investigators arrested Gaetano Cicnato, an insurance agent, as an accessory after several statements by ring members and other insurance agents accused Cicnato of paving the way for the ring to easily obtain insurance policies on intended victims.20 Additionally, in May, police set a watch on the man they believed to be the ring's banker and suspected he held as much as $100,000 in insurance spoils.21 The ring also had contacts with doctors and pharmacists to supply them with poison. For instance, in the Jennie Peno murder, a physician connected with the ring gave Jennie poison under the guise of medicine.22 The multiple suppliers and contact men made the murder for insurance operation an efficient and effective economic enterprise. Furthermore, when investigators arrested Millie Giacobbe, a proprietor of a small dry goods store, they gained confirmation of the existence of a "matrimonial agency" run as a side business by the ring. The matrimonial agency lined up husbands for "arsenic widows" to ensure a steady supply of victims and insurance payouts. After being questioned as an "arsenic widow" for her participation in the matrimonial agency, Giacobbe attempted suicide with a revolver in the bedroom of her South Philadelphia home.23 The most infamous of the arsenic widows was ringleader Morris Bolber's secretary, Rose Carina. When police finally seized her on May 18th in New York City for the murder of one of her five or more husbands, she came to court wearing all black and thick- rimmed glasses. As the New York Times observed, "To spectators, [Carina] bore little resemblance to a woman classed in the public imagination as a 'rose- of-death' bride of the alleged murder ring. "24 As a separate, but interconnected, business, the matrimonial agency gave Italian immigrant women a means of economic subsistence and kept the ring's economic activities going by ensuring a ready supply of victims. "Love Potions and Groundup Dead Man's Bones"
However, it was not the cold, business-like way in which the ring operated that caught the public's imagination. At the heart of the insurance murder ring was the incorporation of Old World Italian beliefs in the "evil eye" and witchcraft into the system of insurance fraud. Historian Owen Davies claims, "While the idea that witches could cast a spell through sight was widespread in different cultures…the evil eye as a concept is best understood as a distinct tradition found in Mediterranean cultures. "25 Known as Malocchio in Italian, a 1940s New York City folklore survey on the belief in the evil eye found it still thriving among the Italian and Jewish populations.26 Thus, invoking Old World beliefs of witchcraft and the "evil eye" gave the ringleaders, Herman and Paul Petrillo, Corina Favato, and Morris Bolber, power over their extensive network of crime due to Italian immigrants' penchant to hold on to their Old World beliefs. The ringleaders' success in persuading spouses to kill their husbands or wives stemmed from their reputations as powerful witches or as possessing the "evil eye." Each of the ringleaders' powers of supernatural persuasion came out during the investigation, in often-dramatic fashion. At the arraignment of the bespectacled tailor, Paul Petrillo, witnesses testified that for a number of years Petrillo took witchcraft lessons at fifty cents a lesson from an African American "seeress." Fifty cents seemed a small price to pay to be able to talk to spirits and "Old Nick himself. "27 Referred to as "a dealer in magic powders,"28 a "professor of witchcraft,"29 and a "witch doctor" in the press and by witnesses, Petrillo's reputation as a witch was well known among the Italian community. Petrillo's co-director in the South Philadelphia branch, Carina Favato, also had a reputation as a witch. After confessing to her involvement in the conspiracy, the diminutive and grey-haired Susie di Martino, widow of one of the victims, turned state's witness and testified against Favato, who "nursed" her late husband, Giuseppe di Martino, during his last illness. As a result, on April 21st, Favato "a middle-aged housewife who subscrib[ed] to a belief in witchcraft," shocked the court at her own murder trial by calmly pleading guilty to the murder of her common-law husband, Charles Ingrao, her stepson, Philip Ingrao, and Giuseppe di Martino.30 Additionally, arsenic widow Josphine Romaldo told reporters she "sought supernatural help to win her husband's affections back" from Favato, who offered her a charm that "would bring [her] husband back," for $300.31 Neighbors knew of Favato's supernatural abilities, and, thus, they sought her spiritual guidance. This put Favato in an advantageous position to know which of her neighbors were vulnerable and could be exploited to economically advance ring members during the Depression. Favato's confession split the case wide open. However, there was still a ringleader free, whose reputation was infamous and whose eventual confession led to the arrests and prosecution of numerous ring members. Even after Herman Petrillo received the death penalty and Favato's dramatic courtroom confession, investigators only knew Morris Bolber as "the rabbi," a veteran "witch doctor," who dealt in "love potions and ground-up dead man's bones. "32 It was not until April 27th that police knew Bolber to be the "veteran witch doctor and compounder of charms. "33 When Bolber turned himself in to police, he pled guilty to the murder of arsenic victim Romain Manduik, but he maintained that he was really innocent and had turned state evidence "for the benefit of the people of Philadelphia. "34 Bolber tried to frame himself as a "faith healer" instead of a "witch doctor" to police. Self-described as "a sort of psychiatrist," Bolber used his relationship with the Sherman family as a testament to being a healer instead of a murderer. Police arrested Dora Sherman, a sixty-two-year-old widow and mother of three who ran a chicken store in West Philadelphia, for the death of her late husband, Abraham, an antique dealer, who died July 1, 1936. Bolber claimed his relationship with the Shermans was one of "faith healer" when they came to him to cure their crippled grandson.35 Despite Bolber's insistence that he was innocent, his reputation, as well as the statements against him by other members, undermined his innocence. For instance, Bolber coordinated the murder of Jennie Cassetti. Jennie's husband, Dominick Cassetti, a presser in a clothing factory, frequently quarreled with his wife over her accusations of his associating with other women. He obtained a powder, thought to be arsenic, from Josephine Sadetti, one of the conspiracy's agents. He agreed to pay $160 in weekly installments, but, when he fell behind on payments, Bolber sent Cassetti to the South Philadelphia fortuneteller Providenzi Micicihi. According to Cassetti, "he was threatened with the 'evil eye' spell of Mrs. Providenzi Micicihi if he did not sprinkle 'witch powder' in his wife's spaghetti. "36 Jennie died June 1938 of arsenic poisoning. Bolber coordinated his agents and used their reputations as witches possessing the evil eye to persuade uncooperative clients into submission to advance the ring's economic interests. However, by turning state witness, a rift formed between the ringleaders of the conspiracy. Soon after Bolber turned himself in, the chief of the county detectives, William Connelly, decided to periodically question members of the conspiracy together. On one occasion he questioned Herman Petrillo, Morris Bolber, and David Brandt. Brandt, a typewriter salesman and former veterinary student, was not a ringleader but still a prominent agent in the conspiracy. During the questioning, the three displayed fright over the others' evil eye, frequently interrupting questioning with, "Don't you look at me that way; don't you give me the eye. "37 The animosity and fright shown by the ring members towards the use of the evil eye was not just a charade for clients. Those within the ring truly believed they possessed the "evil eye" or feared those who did possess it. This belief was crucial in the effectiveness of the ring's economic activities. The public got to witness this belief in action during Paul Petrillo's trial. The prosecution put Bolber on the stand to testify against his co-conspirator, but it turned into a standoff between Bolber, the "faith healer," and Petrillo, the "witch doctor." Reportedly, Bolber and Petrillo were partners in witchcraft, but now, instead of using the evil eye to threaten clients into cooperation, they directed the evil eye at each other. Bolber "electrified the courtroom crowd with a detailed account of six slayings," linking Petrillo to three of them. Then he "threw the room into an uproar with an attempt to 'put the evil eye' on the defendant [Petrillo]." The incident ended with the entrance of the judge and opposing lawyers, but the rest of the trial remained charged. While unexpected and entertaining for the courtroom, it was not unbelievable. The nonimmigrant community viewed Italians as primitive and uncivilized. A guide to Philadelphia, published in 1937 by the Federal Writers' Project, claimed the Italian community held onto their "European peasant customs and folkways. "39 The guide made a point of distinguishing Italians from U.S. citizens: "Apparently preferring the foods and customs of their homeland, these people do not assimilate easily as some of the other groups, and are inclined to settle in sharply defined districts—notably South Philadelphia. "40 Thus, to U.S. citizens, the trial of the insurance murder ring with its link to Old World witchcraft served as a confirmation of the uncivilized nature of Italians. However, to immigrants, holding on to their Old World beliefs was one of their only survival strategies during the Great Depression. 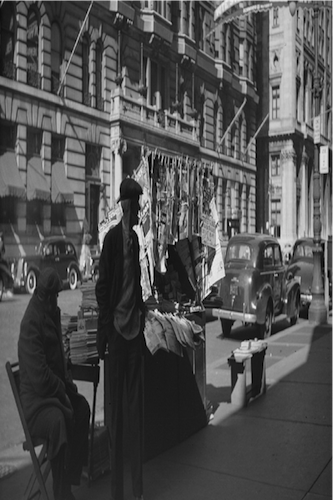 In her study of the Italian and Jewish community in New York's Lower East Side during the Depression, historian Suzanne Wasserman argues East Siders "coped with the economic crisis by utilizing traditional strategies for survival," including mutual aid societies, doubling up, taking in boarders, and "homework. "41 Ultimately the Depression proved too much for these strategies. In effect, the murder insurance ring, with its use of traditional beliefs in witchcraft and the evil eye, was an alternative economic survival strategy for Italian immigrants during the Depression. Alfonsi's murder set off a series of prosecutions that lasted over a year. Alfonsi was just one of the many flies caught in the complicated web spun by the conspiracy's spiders. Ultimately, of the spiders in this web, Bolber and Favato received life imprisonment, while both Paul and Herman Petrillo met their fate in the electric chair. The immigrant experience during the Great Depression is an often forgotten aspect of U.S. history. However, the vulnerability of immigrants like Alfonsi and the desperation of conspiracy members created by the economic stagnation of the Depression shaped the conditions for the ring to take root. The story of the insurance murder ring demonstrates the immigrant's ability to exploit institutions, such as life insurance, and root them in the traditional customs they were most familiar with. By translating Old World beliefs into an American system, the insurance murder ring was able to survive the economic crisis and preserve their Old World values as well. Rachel Joy Snyder is a senior at Virginia Tech and will graduate in May 2016 with a Duel Degree in Applied Economic Management and History. Her historical interests include environmental history, particularly food history, and British history as well as the the macabre and deviant. "Banker Holding Insurance Murder Ring Cash Hunted." Los Angeles Times, May 10, 1939. Davies, Lawrence E. "Poison Death Plot Amazing to Police." New York Times, May 14, 1939. Davies, Owen. American Bewitched: The Story of Witchcraft After Salem. Oxford: Oxford University Press, 2013. Federal Writers' Project Works Progress Administration for the Commonwealth of Pennsylvania. Philadelphia: A Guide to the Nation's Birthplace. Harrisburg, PA.: Pennsylvania Historical Commission, 1937. Lucani, Stefano. "Machine Politics and the Consolidations of the Roosevelt Majority: The Case of Italian Americans in Pittsburgh and Philadelphia." Journal of American Ethnic History 15 (Winter 1996): 32-59. Murphy, Shanon. "How to Make a Dead Man: Murder and Life Insurance in 19th Century America," Financial History (Spring 2010): 28-39. New York, New York. New York Passenger Lists, 1820-1957. National Archives, Washington, D.C.
Philadelphia, PA. 1930 U.S. Census, populations schedule. Digital image. Ancestry.com. Sept. 12, 2015. http://ancestry.com. Philadelphia, PA. 1940 U.S. Census, populations schedule. Digital image. Ancestry.com. Sept. 12, 2015. http://ancestry.com. Philadelphia, PA. Death Certificate. Pennsylvania Historical and Museum Commission, Harrisburg, PA.
Philadelphia, PA. U.S. Naturalization Records. National Archives and Records Administration, Washington, D.C.
"Poison Killing of 70 Laid to Plotters." Los Angeles Times, Mar. 23, 1939. "Poison Ring Widow Attempts Suicide." New York Times, May 9, 1939. "'Poisoning Ring' Chief Found in Cell Here." New York Times, Apr. 27, 1939. "Says 'Evil Eye' Made Him Kill Wife." New York Times, Sept. 8, 1939. "Says Poison Plots Cost 10 to 12 Lives." New York Times, Feb. 2, 1939. "Six Slayings Told By 'Faith Healer.'" New York Times, Sept. 23, 1939. "Tailor Called 'Super" Bluebeard." New York Times, Feb. 12, 1939. "Twelve Indicted in Poison Death." New York Times, May 20, 1939. Wasserman, Suzanne. "'Our Alien Neighbors': Coping with the Depression on the Lower East Side," American Jewish History 88 (June 2000): 209-233. "Woman Poisoner Confesses at Trial." New York Times, Apr. 22, 1939. "3 Widows are Held in 'Ring Murders.'" New York Times, Apr. 28, 1939. "14 Held by Courts on Poison Charges." New York Times, May 12, 1939. 1 Philadelphia, PA., Death Certificate no. 112635 (1938), Ferdinando Alfonsi; Pennsylvania Historical and Museum Commission, Harrisburg, PA.
2 Lawrence E. Davies, "Poison Death Plot Amazing to Police," New York Times , May 14, 1939. 3 There is limited scholarship on the 1939 Philadelphia murder insurance ring. The scholarship that there is focuses on the criminal justice side of the case rather than the immigrant experience. This paper seeks to fill this void in the scholarship by examining the case from the perspective of the immigrants involved rather than the police and investigators. 4 "Says Poison Plots Cost 10 to 12 Lives," New York Times, Feb. 2, 1939. 5 New York, New York, Passenger Lists, 1820-1957 (1923), Alfonsi, Ferdinande; National Archives, Washington D.C.
6 Stefano Lucani, "Machine Politics and the Consolidations of the Roosevelt Majority: The Case of Italian Americans in Pittsburgh and Philadelphia," Journal of American Ethnic History 15 (Winter 1996): 34. 7 Lucani, "Machine Politics and the Consolidations of the Roosevelt Majority," 39. 10 Suzanne Wasserman, "'Our Alien Neighbors': Coping with the Depression on the Lower East Side," American Jewish History 88 ( June 2000): 212. 11 Philadelphia, PA., U.S. Naturalization Records no. 4200703 (1937), Alfonsi, Ferdinando; National Archives and Records Administration, Washington, D.C.
12 1930 U.S. Census, Philadelphia, PA., population schedule, p. 189 (stamped), dwelling 200, family 237, Paul Petrillo; digital image, Ancestry.com, accessed Sept. 12, 2015, http://ancestry.com. 13 1940 U.S. Census, Philadelphia, PA., population schedule, sheet no. 1B, house no. 1822, Vincent Petrillo, Lena Petriilo, Anthony Petrillo, and Paul Petrillo; digital image, Ancestry.com, accessed Sept. 12, 2015, http://ancestry.com. 14 "Tailor Called 'Super" Bluebeard," New York Times, Feb. 12, 1939. 16 Shanon Murphy, "How to Make a Dead Man: Murder and Life Insurance in 19th Century America," Financial History (Spring 2010): 29. 17 "Poison Killing of 70 Laid to Plotters," Los Angeles Times, Mar. 23, 1939. 18 "'Poisoning Ring' Chief Found in Cell Here," New York Times, Apr. 27, 1939. 20 "Poison Ring Squad Arrests a Widow," New York Times, May 5, 1939. 21 "Banker Holding Insurance Murder Ring Cash Hunted," Los Angeles Times, May 10, 1939. 22 "14 Held by Courts on Poison Charges," New York Times, May 12, 1939. 23 "Poison Ring Widow Attempts Suicide," New York Times, May 9, 1939. 24 "Twelve Indicted in Poison Death," New York Times, May 20, 1939. 25 Owen Davies, American Bewitched: The Story of Witchcraft After Salem (Oxford: Oxford University Press, 2013), 74. 27 "Tailor Called 'Super' Bluebeard." 28 "Poison Killing of 70 Laid to Plotters." 29 "Woman Poisoner Confesses at Trial," New York Times, Apr. 22, 1939. 31 "14 Held by Courts on Poison Charges." 32 "'Poisoning Ring' Chief Found in Cell Here." 33 "3 Widows are Held in 'Ring Murders,'" New York Times, Apr. 28, 1939. 34 "Six Slayings Told By 'Faith Healer,'" New York Times Sept. 23, 1939. 35 "Poison Ring Squad Arrests a Widow." 36 "Says 'Evil Eye' Made Him Kill Wife," New York Times, Sept. 8, 1939. 38 "Six Slayings Told By 'Faith Healer.'" 39 Federal Writers' Project Works Progress Administration for the Commonwealth of Pennsylvania, Philadelphia: A Guide to the Nation's Birthplace (Harrisburg, PA.: Pennsylvania Historical Commission, 1937), 98. 41 Wasserman, "'Our Alien Neighbors,'" 209-221.